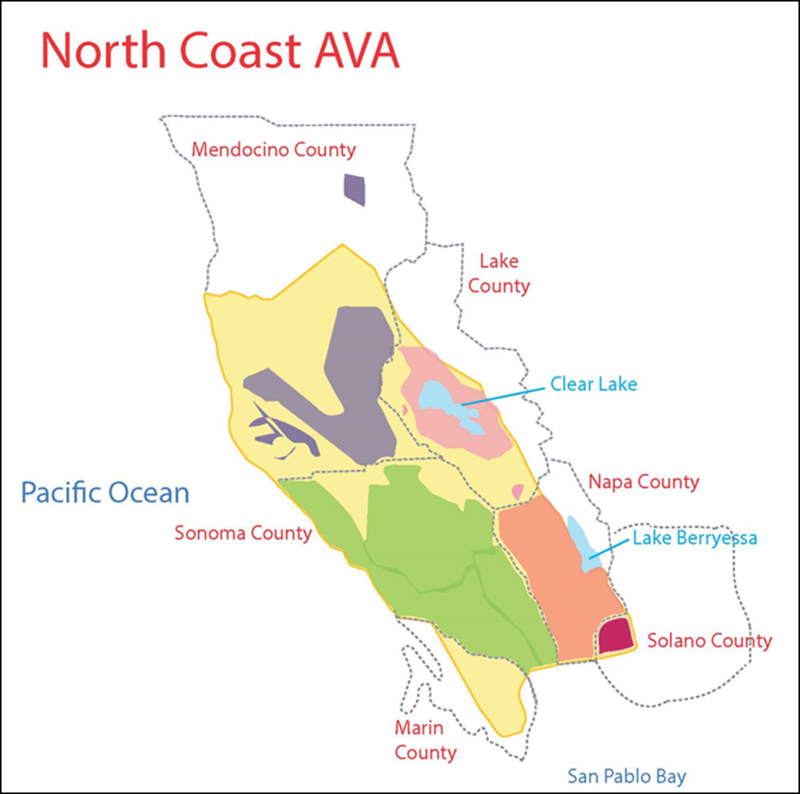 In the southeast corner of the North Coast American Viticultural Area (AVA), the boundary lines of area extend just a few miles beyond Napa County to include about 30,000 acres of Solano County. 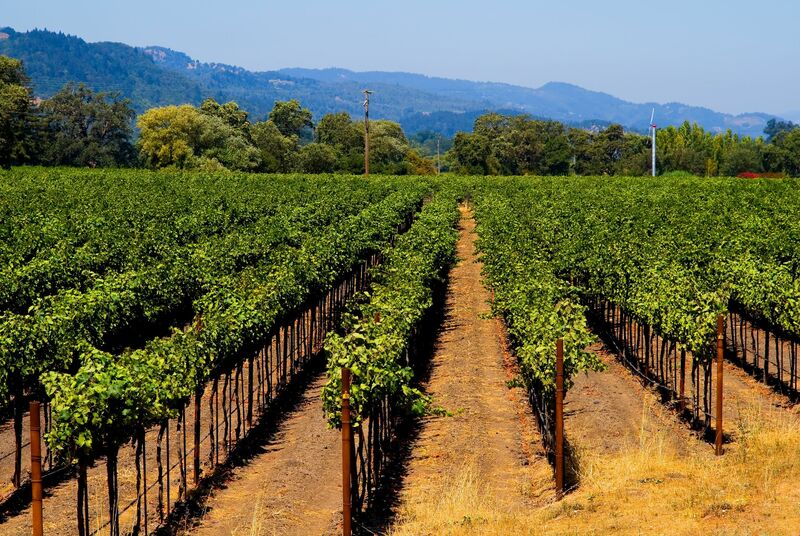 Here you will find two AVAs—the Solano County Green Valley AVA and the Suisun Valley AVA—literally feet away and across a political boundary from the esteemed Napa Valley AVA. That has to be a bit like being the awkward little sister of a beauty queen, or the geeky big brother of a star football player. However you want to describe it, it has to be tough being Napa’s neighbor. Suisun Valley AVA: The Suisun Valley AVA, located just to the south of Napa County, lies between the southern edge of the Vaca Mountains (to the east) and the Howell Mountains (also known as the St. George Mountains [to the west]). The AVA is about 8 miles long and three miles wide, covering about 15,000 acres—of which about 3,000 acres are planted to vine. The Suisun Valley enjoys a relatively cool climate (it is classified as “Region III” under the Winkler Scale), but is significantly warmer at its northern edge. The southern end of the valley, adjacent to Suisun Bay, can be cooler by as many as 14 degrees (F) during the heat of the day. Suisun Bay itself forms the beginning of the Sacramento-San Joaquin River Delta, and is connected via the Carquinez Strait to San Pablo Bay (to the west). The Suisun Valley was first recognized for the quality of its red wines, particularly Cabernet Sauvignon and Petite Sirah (Durif). These grapes are still widely grown in the area, which is now planted to more than 20 other grapes as well. These include Chardonnay, Sauvignon Blanc, Zinfandel, Pinot Gris, Gamay, and Chenin Blanc. There are just over a dozen wineries producing wine within the confines of the Suisun Valley AVA, and several dozen more that produce wine under the Suisun Valley appellation while located in adjacent counties. Sunset Cellars, the Vezér Family Vineyard, and Wooden Valley Winery are among the standouts. The Vezér Family Vineyard calls the Suisun Valley “the Petite Sirah Capital of the World”— who can resist that? Solano County Green Valley AVA: The Solano County Green Valley AVA (not to be confused with Sonoma’s Green Valley—the Green Valley of Russian River Valley AVA) is smaller and cooler than the Suisun Valley. Solano’s Green Valley AVA measures just about four miles long by one mile wide and has about 800 acres planted to vine. Solano’s Green Valley AVA is located just to the south/south east of Napa, and enjoys a maritime climate due to its proximity to Suisun Bay. At last count, the area has just a few wineries—including GV Cellars and Rock Creek Vineyard—and just over a dozen independent grape growers. 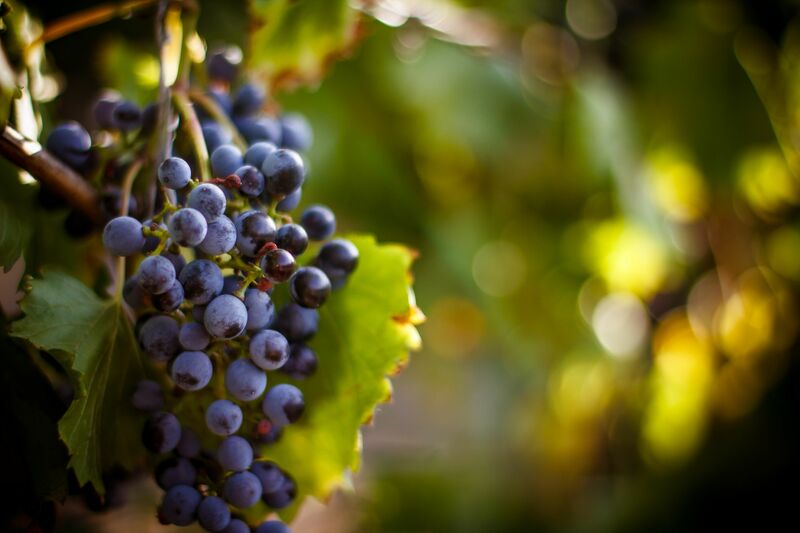 The area is known for red varieties such as Cabernet Sauvignon, Sangiovese, Dolcetto, Zinfandel, and Petite Sirah, but a handful of other grapes (including Chenin Blanc and Pinot Gris) are grown here as well. Wine production in Solano County has a well-documented history. We know that an Australian by the name of John Volypka planted vines in the area as early as 1858 and was making wine by 1863. Others followed—Harry Schultz soon had a large winery, and by 1879 S.F. Jones had 90 acres of vines and produced 50,000 gallons of wine a year. In 1952, Ben Volkhardt Jr. bought 80 acres of land in Green Valley. 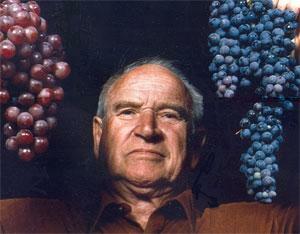 He planted peaches, pears, and grapes, but soon the business focused on grapes and wine. His son—Ben Volkhardt III—joined the business in 1974 and the two formed the Chateau de Leu winery—which survives to this day as GV Cellars (under different ownership). 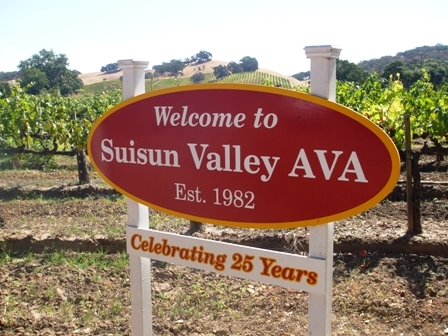 Based on petitions filed by the Volkhardts, both the Suisun Valley and Solano Green Valley were awarded their AVA status in 1982, making them among the first wave of AVAs approved in California. The first AVA declared in California—in January of 1981—was their neighbor-to-the-north, the Napa Valley. Perhaps you’ve heard of it? I am a huge fan of everything about New Zealand, in particular New Zealand wines. I’ve been a fan of New Zealand wines since the release of Cloudy Bay Vineyards’ first Marlborough Sauvignon Blanc back in the 1980s. I’ve grown to be an even bigger fan over the years as I’ve been able to experience the rise of Central Otago Pinot Noir, red blends from Hawke’s Bay, serious Méthode Marlborough sparkling wines, and even “carbonated” Sauvignon Brut (delicious). The Waitaki River: The Waitaki is a river that begins with several small streams that flow from the Southern Alps (somewhat in the central portion of New Zealand’s South Island) towards Lakes Ohau, Pukaki, and Tekapo. Once past the lakes, the streams weave together to form the Waitaki. 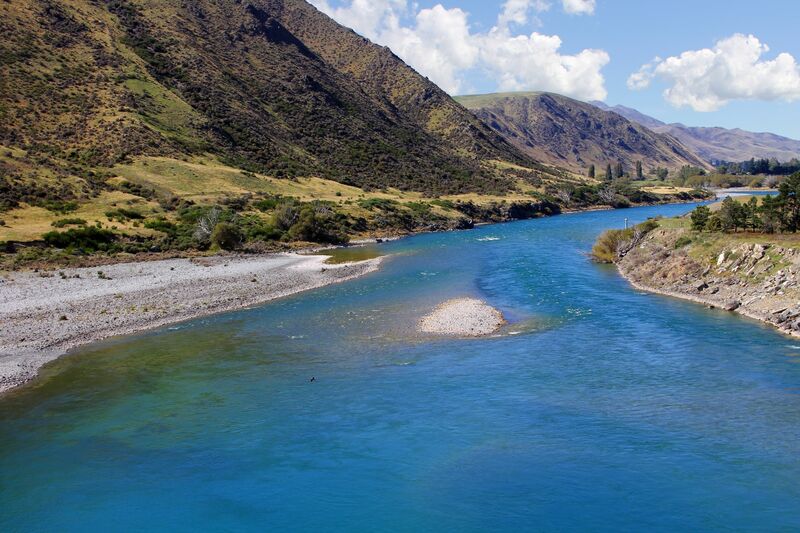 The Waitaki River, named for the Maori term for “weeping waters,” then travels eastward for about 130 miles (210 km) until it meets the Pacific Ocean near the town of Glenavy on the island’s east coast. The Waitaki River is a braided river, meaning that it consists of a series of river channels connected and separated by small (and sometimes temporary) islands. Lake Waitaki: The Waitaki River is also home to one of the largest hydroelectric power projects in New Zealand, and is home of several large dams that create several man-made lakes—such as Lake Benmore, Lake Aviemore and Lake Waitaki—along its path. Lake Waitaki is the smallest and the furthest downstream of the three lakes on the Waitaki River. The Waitaki District: Here’s where it gets interesting—the Waitaki River served as a traditional—and now political—boundary between the large political regions of Canterbury (to the north) and Otago (to the south). With the hydroelectric plants and other developments along and on either side of the river, it was decided that it would be best to include the entire catchment of the river within one political district. The Waitaki District, with approximately 60% of its area in the Canterbury Region and 40% in the Otago Region, is the only district on New Zealand’s South Island that is split between two political regions. 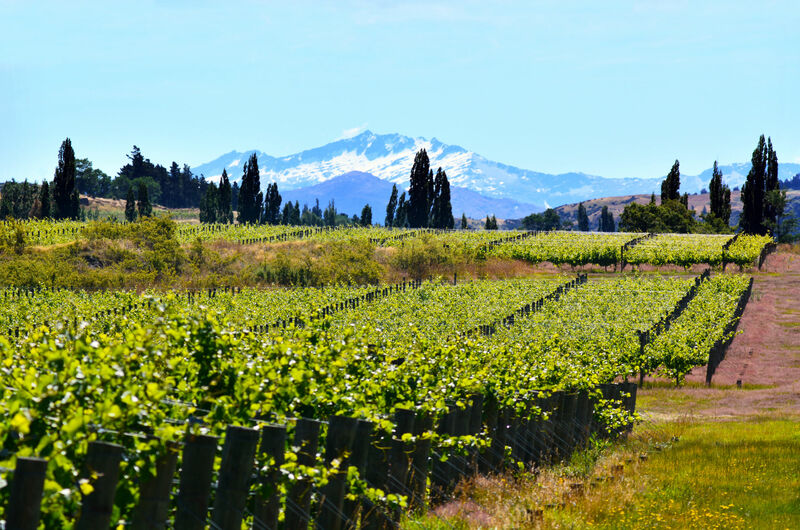 The Waitaki Valley of Canterbury: This area is listed on the website of Wines of New Zealand as a sub-region of the Canterbury GI. 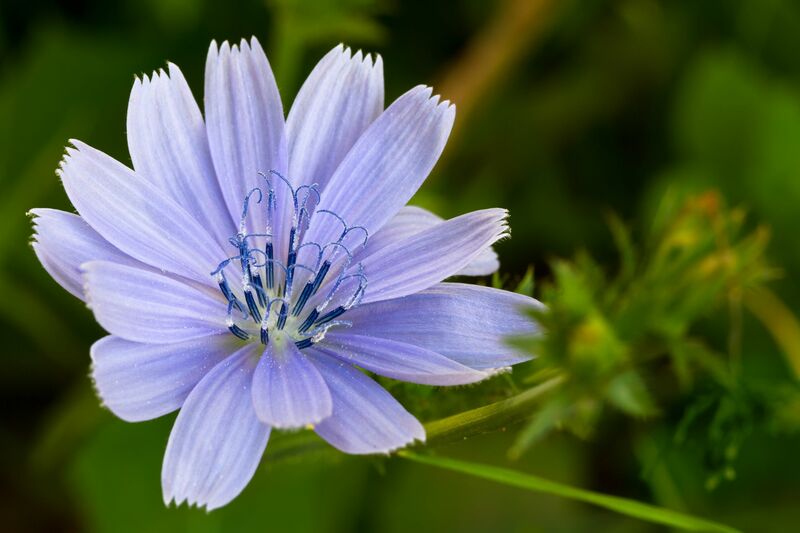 (Canterbury has applied for official status as a new Geographical Indication.) However, the Waitaki Valley of Canterbury has not applied for GI status—as of today (November 4, 2017)—so for now it joins a long list of New Zealand wine areas that will be considered “unofficial.” As such, the Waitaki Valley area to the north of the river is considered to be an unofficial sub-region of the Canterbury GI. 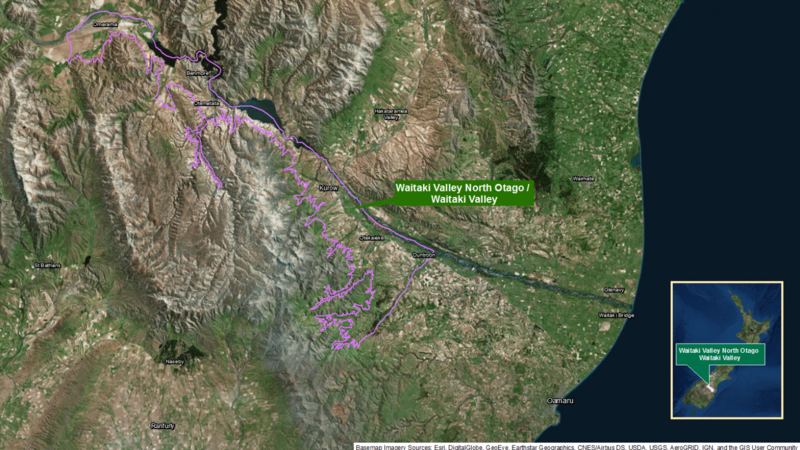 The Waitaki Valley viticultural areas (on either side of the river) follow the course of the Waitaki River for 46 miles (75 km). The area has unique limestone-based soils—a reminder of its ancient past, when it was covered by the sea—as well as loess and alluvial deposits. 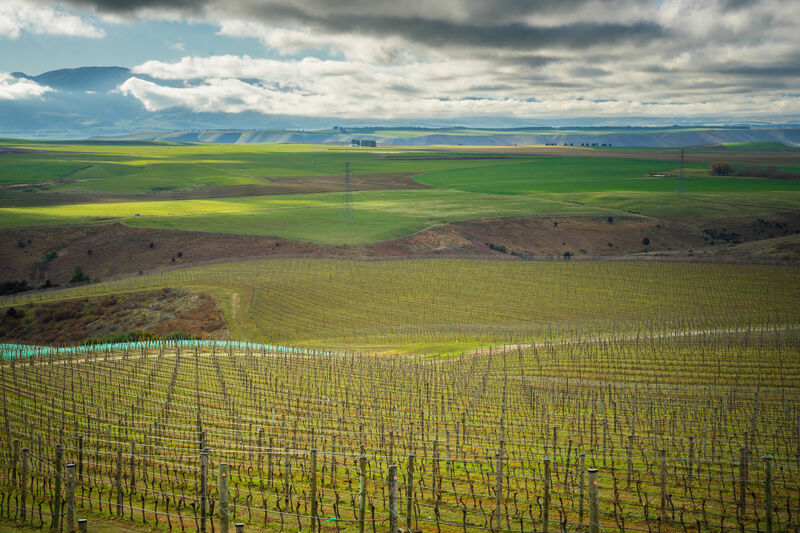 The Waitaki Valley(s) are remote, cool-climate areas that are planted mainly to Pinot Noir, Riesling, Pinot Gris, and Chardonnay. 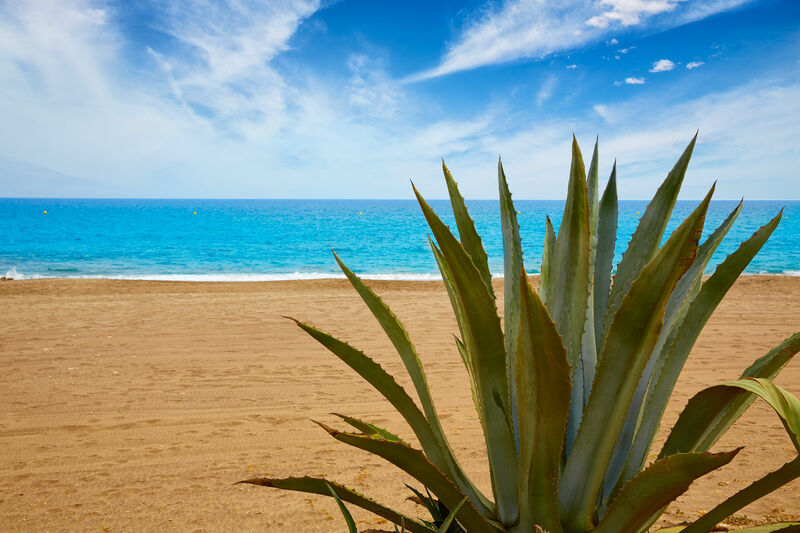 Porto Santo is a Portuguese island located in the Atlantic Ocean, 27 miles (43 km) northeast of the island of Madeira. 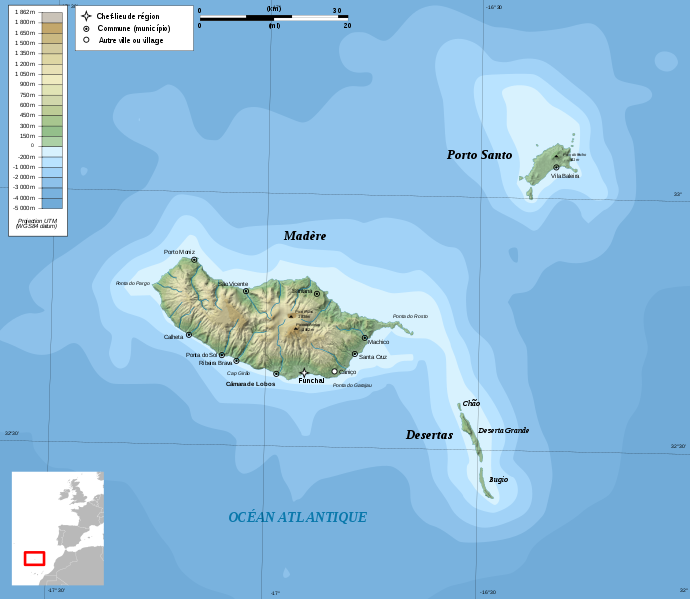 It forms the Madeira Archipelago along with the island of Madeira and a small string of islands known as las Ilhas Desertas (literally “the Deserted Islands”). 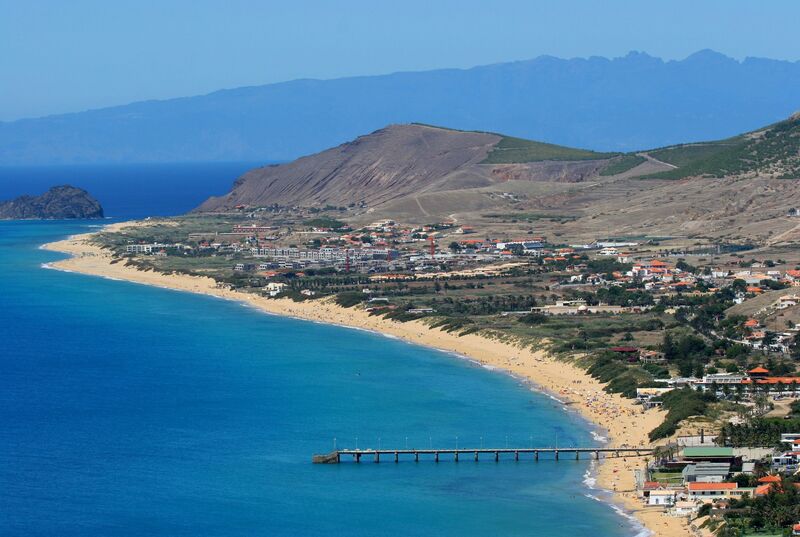 Porto Santo is a small island, measuring 9 miles (14 km) long and just 5 miles (7.7 km) across. The earliest record of the history of Porto Santa dates from 1418, when a group of Portuguese ships were (accidently) blown into its sheltered harbor. The ships were in the service of Infante Henrique of Portugal, and had been blown off-course by an intense storm. 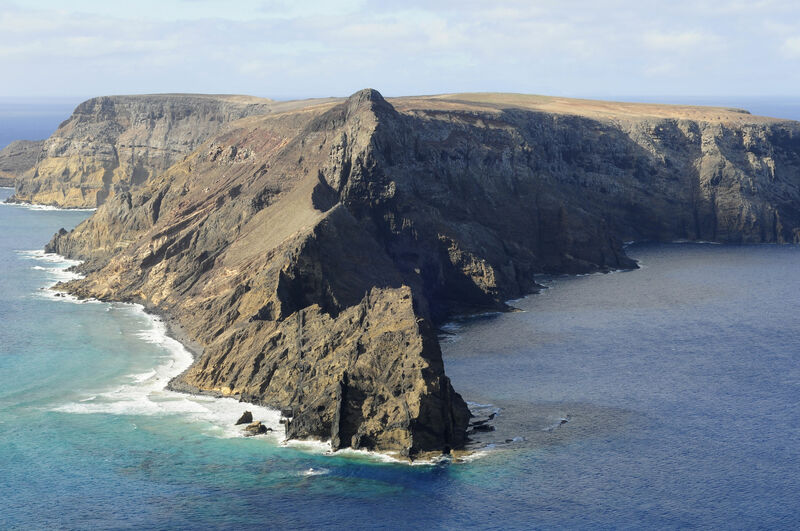 They named the island Porto Santo (“Holy Harbor”), as their arrival in a sheltered bay during the storm was seen as the result of divine intervention. .
Geologically, the island is divided into two parts—the mountainous northeast, and a relatively flat coastal plain in the southwest, which includes a 4.5 mile-long (7 km) golden sand beach. 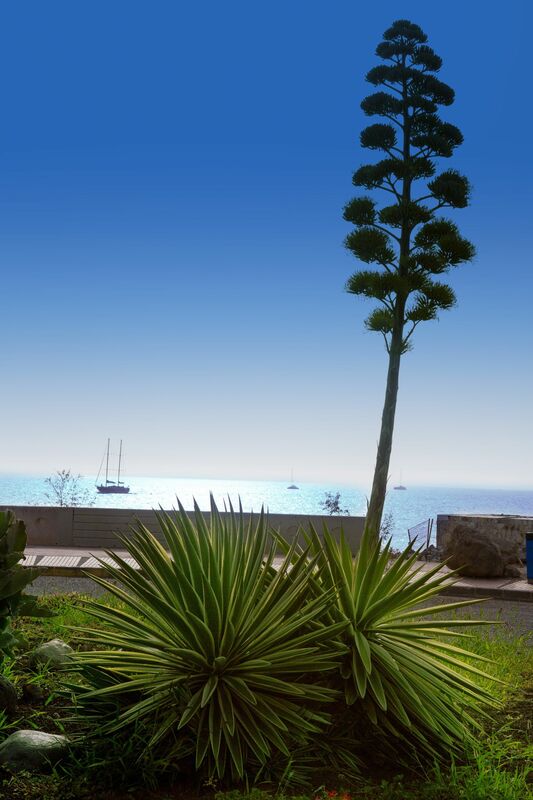 Laid-back tourism is one of the main industries, and visitors can enjoy hiking, biking, motorbiking, off-roading, windmills, forts, or golf; and may choose to take a two-hour boat ride to Madeira aboard the ferry Lobo Marinh. Waterfront wining and dining may be found in Vila Baleira, the one and only “city” on the island. History buffs can pay a visit to the Christopher Columbus House Museum and learn that Christopher Colombus was once married to a Portuguese woman and that they lived on Porto Santo for a period of time. Colombus’ wife, Filipa Moniz, unfortunately passed away during childbirth just a few years after their marriage. In the 1420s, the Portuguese King sent a group under the command of Captain Bartolomeu Perestrelo to colonize the island. The group planted grapevines and sugar cane, and introduced rabbits to the island. The introduction of rabbits turned out to be not such a good idea, as they rampaged their way across the island and soon dominated the local environment. In a matter of a few (rabbit) generations, they basically ate everything else up. Another not-so-smart move by these early settlers involved the local Dragon Trees. The valuable sap of the trees, known as “dragon’s blood” is a type of resin used for medicine and dyes. The colony chopped down the trees and literally bled the trees dry to the point that they became extinct on the island. As such, the island lost its original wind protection—and with the help of the ravaging wild rabbits—the area was left rather rugged, wind-blown, and barren. 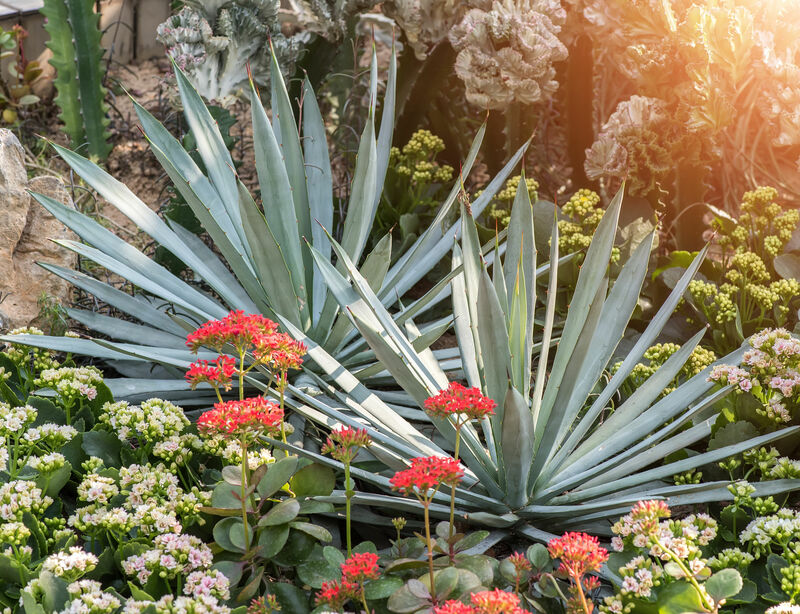 While it certainly has its own style of natural beauty, the island has never recovered to its original lush state. Despite the challenges, there is some viticulture on the island of Porto Santo. As Porto Santo is included in the geographic territory of the Madeira DOC, the Madeirense DOC and the VR Terras Madeirenses, these wines may be produced on the island of Porto Santo. Despite the limitations, grapes are a pretty big deal here—agriculture is limited on the island, making grapes, melons, and rabbit the three biggest commodities. Grapes or wine from Porto Santo may also be sent to the island of Madeira for use in the wines bottled there. There are some obvious logistical challenges to such a project, however—it has been known to happen. For instance, the Madeira Vintners used Listrão and Caraco grapes from Porto Santo in their 2013 vintage. 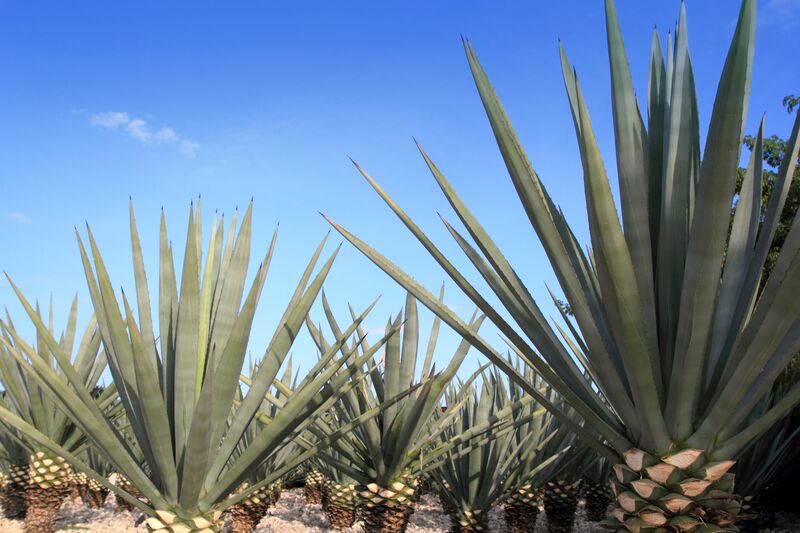 That same year, Porto Santo grower J. Santos produced a sweet white wine from locally grown Listrão as well as an off-dry white wine from the Porto Santo-grown Caracol grapes. You can read reviews of both of these wines on Niklas Jörgensen’s Mad about Madiera blog. Christopher Merrett (1614–1695) is something of a hero to wine lovers, as we know him to be the first person to figure out that you could add sugar to a bottle of wine, cause it to re-ferment, and make bubbles! 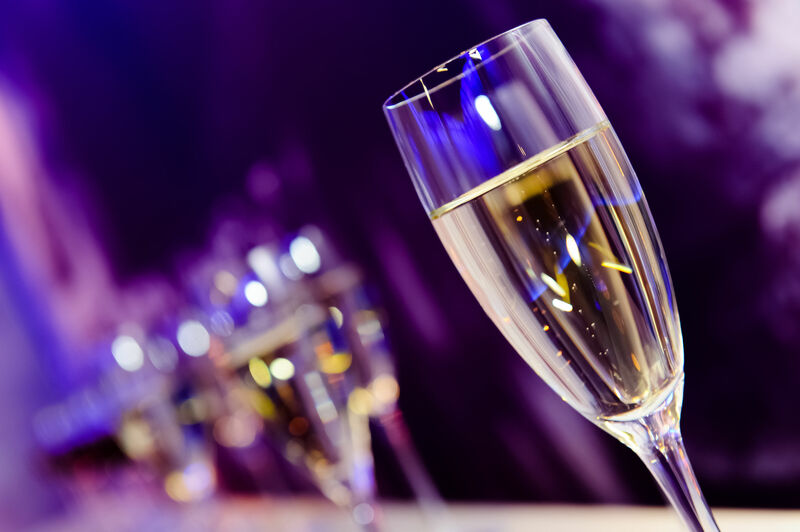 Put in more technical terms, he is acknowledged as the first person to deliberately create a sparkling wine via the addition of sugar. So, cheers to Christopher Merrett, on that merit alone! However, as is generally the case with these scientists of yore, he accomplished much more than just bottling bubbles: he was, in fact, a member of the Fellowship of the Royal Society and studied metallurgy, glass making, plants, birds, and butterflies. 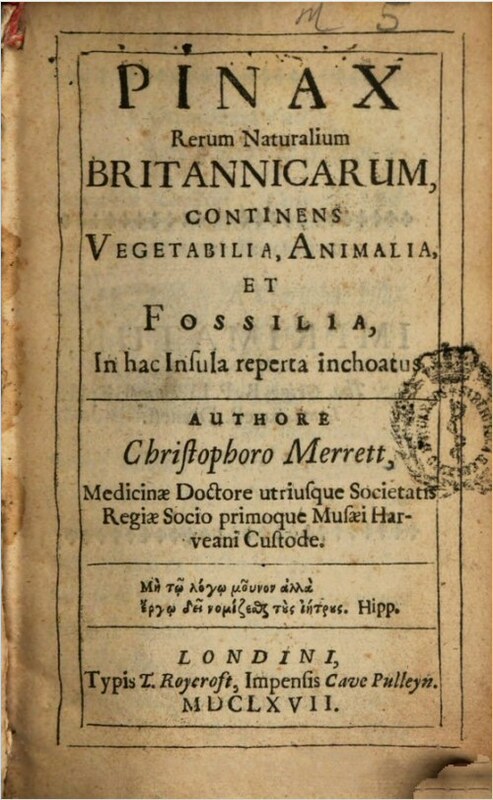 Merrett was a keen scientific observer of the natural world and became quite famous for publishing one of the earliest taxonomies of the plants, animals, and minerals of the British Isles. Published in 1666, this work—Pinax Rerum Naturalium Britannicarum—is now acknowledged as the earliest work to contain a complete list of the birds and butterflies of England. He also had an interest in glass making and translated Antonio Neri’s L’Arte Vetraria (“The Art of Glassmaking”—written in 1612) from Italian to English, while adding 147 pages of his own. A few things going on in the scientific community as well as English society helped to lead Merrett to his discovery. For one, the English glass-making industry had become quite adept at producing hard, durable glass through the use of coal (which burns hotter) rather than wood for fires. 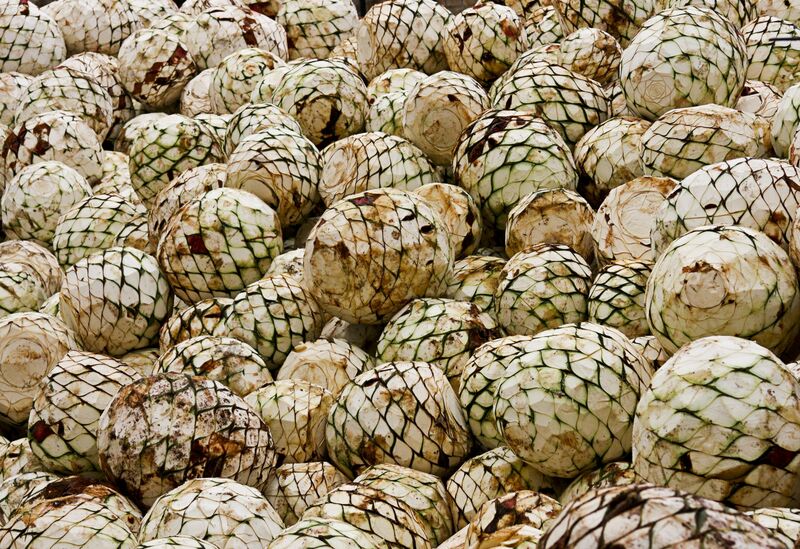 English-produced bottled were thus sturdier—and less likely to burst—than French bottles. In addition, the English imported cork from Portugal to seal their bottles while the French were still using wooden stoppers and cloth. Finally, the English had already acquired a taste for apple cider, which was sweet and flavorful—more so than the wine imported from France. As such, English people became accustomed to adding molasses and sugar to their imported French wines. Soon enough, Christopher Merrett—a keen observer of the natural world if ever there was one—noted that if you added sugar or molasses to French wine, and stored it in a sturdy, coal-fired English glass bottle stoppered with a tight-sealing Portuguese Cork, you ended up with a lively, flavorful, bubbly wine that was a tasty as English cider. That was an “a-ha” moment if ever there was one! 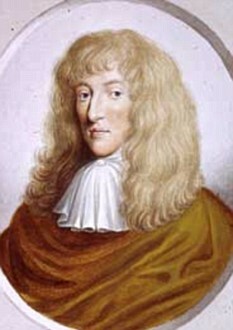 In 1662, Merrett delivered an eight-page paper to the Royal Society detailing the use of sugar or molasses to give wine or cider a bit of fizz. In the words of Merrett, this was “to make them brisk and sparkling.” Keep in mind that this paper was delivered in 1662, several decades before Dom Perignon’s famous “Come quickly, I am drinking stars!” moment, alleged to have occurred in 1697. Merrett was only mildly interested in wine, and soon returned to his observations on the rest on the natural world. In addition to his studies of birds and butterflies, he went on to present several more papers on many topics to the Royal Society. These included papers on such diverse topics as fruit trees, tin mining, and coastal geography. His interests, it seems, knew no bounds. Note: Much of the information about Christopher Merrett and sparkling wine came to light courtesy of the British wine writer Tom Stevenson.